Streaming or recording video content can require a large amount of system resources. Because gaming also requires a considerable amount of system resources, playing while you’re streaming or recording can be a recipe for trouble. In a worst case scenario, your gameplay suffers as you visually experience lag, and that lag is passed on to your viewing audience. Getting around that problem wasn’t always possible. As recently as five years ago, decent screen recording devices simply didn’t exist. 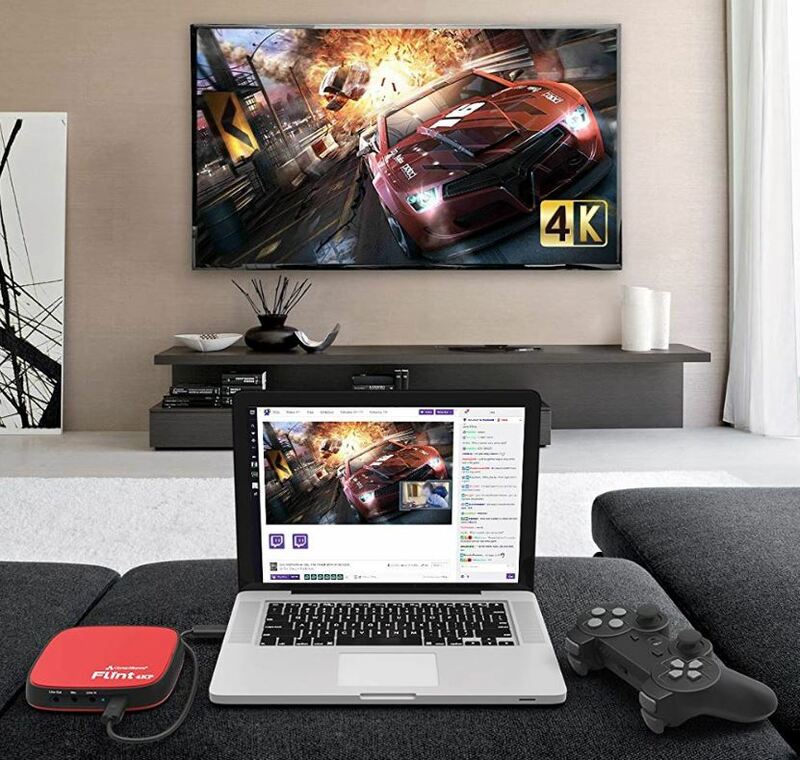 But with the meteoric rise in video streaming services like Twitch and YouTube, effective screen recorders are quickly becoming pretty popular. Still, they can be as tough to choose as any gaming peripheral or PC part. Making an effective screen capture device can be complicated. Because you’re trying to coordinate inputs from different game consoles, microphones, screens, and recording software. There are a lot of moving parts, and consequently, plenty of places for mistakes and errors. But the ClonerAlliance Flint 4KP is a pretty impressive little unit. Part of the reason is because it’s able to be so approachable to beginners, and part of it is because it’s still a workable unit for experienced streamers and content creators. Though the screen recording caps out at 1080p, it provides pristine HDMI support for higher refresh rates. The Flint is also partially defined by its included software kit. 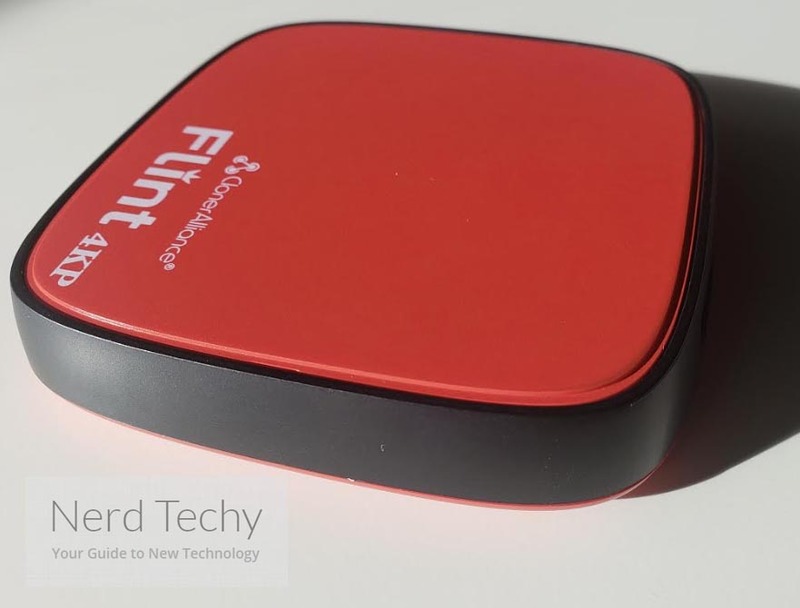 Like you’d expect from this sort of device, the Flint 4KP lets you capture HD gameplay, and then create content from your recordings without ever interfering with your game. 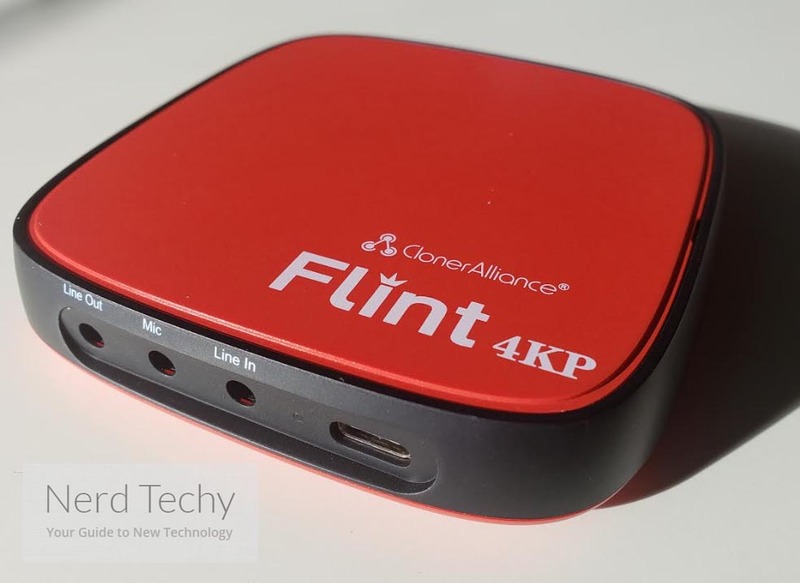 Additionally, the Flint 4KP was made to deliver screen recording alongside 4K pass-through. You can start recording with one button, and then share that content to social media sites just as easily. In photographs, the 4KP is usually shot to look much larger than it actually is. 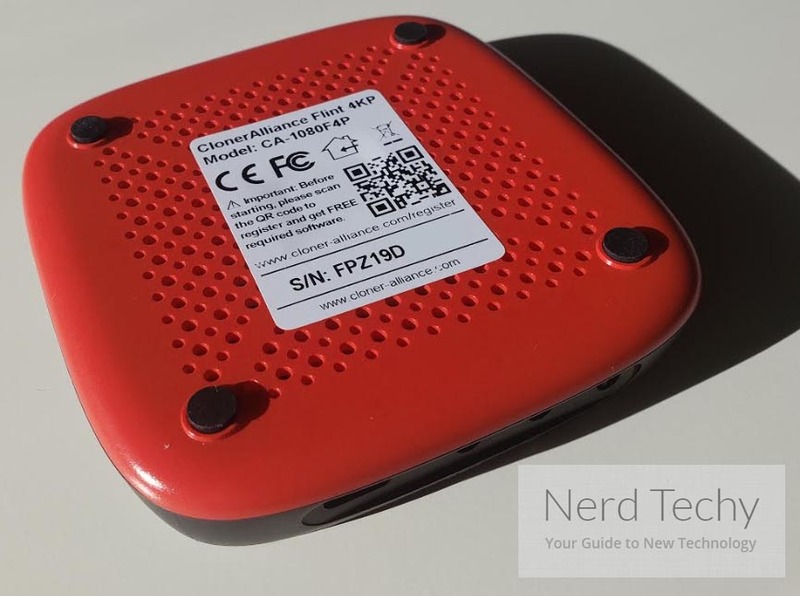 The 4KP is a terrifically small red box, which measures 3.63 x 3.63 x 0.67-inches. It looks similar to a router, though clearly much smaller. This exceptionally slim design lets you take it out of a drawer or pocket, and then share gameplay anywhere you happen to be. Interestingly, its size isn’t the only bit of misleading photography. The 4KP is also made to look as though it uses a glossy surface, when the red material is actually a matte finish. Maybe because the ClonerAlliance marketing department decided they wanted to help the unit look prettier. The matte plastic isn’t especially attractive. And it’s probably a little dishonest for them to have made their device look glossy when it’s not. Even though the matte plastic is a little ugly, at least it’s not a magnet for glare or fingerprints. Along the front, you’ll find ports for a microphone, audio-in, and audio-out. The inclusion of a 3.5mm microphone means you’re able to add your own voice into the gameplay in time, and mix line audio and mic quality with your gaming quite smoothly. Each port is labeled clearly, with audio ports being divided by the microphone port. There’s also a USB port, but for whatever reason, ClonerAlliance decided not to label it. Perhaps because if they’d labeled it USB, people would try sticking USB-A connections into it, or otherwise be confused. Because the USB-C format is still pretty new, and people are still getting familiar with it. On the backside, you’ll find a pair of HDMI ports. Once again, both ports are clearly labeled. If the labeling happens to be worn away with time, the ordering of the ports should provide enough instruction to proceed. The first port is for HDMI-in, and the second port is for HDMI-out. Knowing that, you can just about plug and unplug the 4KP while wearing a blindfold. The Flint 4KC is capable of moving 4K content across HDMI, while maintaining 24fps, 30fps, and 60fps. Of course, that works for backwards compatibility as well. You can run 1080p content at 60fps as well. For console gamers, that’s just about all you could ever ask for. It’s certainly prepared for the upcoming generation of game consoles, which are supposedly going to run 4K content at 60fps. Flint was built to deliver ultra-low latency video capture, mostly thanks to dedicated encoding and low latency tech. That makes it ideal for the PS4, Nintendo Switch, Xbox One, and similar consoles. It’s also why basically any display you’re connected to will work, and without sound issues or lag. But the Flint is slightly underwhelming when used for PC recording. Not for PC streaming, but specifically for recording. Because PC gamers are used to playing at higher framerates, and there are a handful of niche circumstances where capturing exceptionally high frame rates might be useful. The Flint 4KP is based on UVC tech, which allows ClonerAlliance deliver plug-and-play functionality. Basically any device with an HDMI port will automatically work for the 4KP. You don’t need to install batteries or drivers, just plug the cord in, and you’re ready to go. Enjoying almost universal compatibility means you can even capture videos to laptops or desktops because of support for Android, Linux, Mac, and Windows. High compatibility between so many platforms isn’t a coincidence. 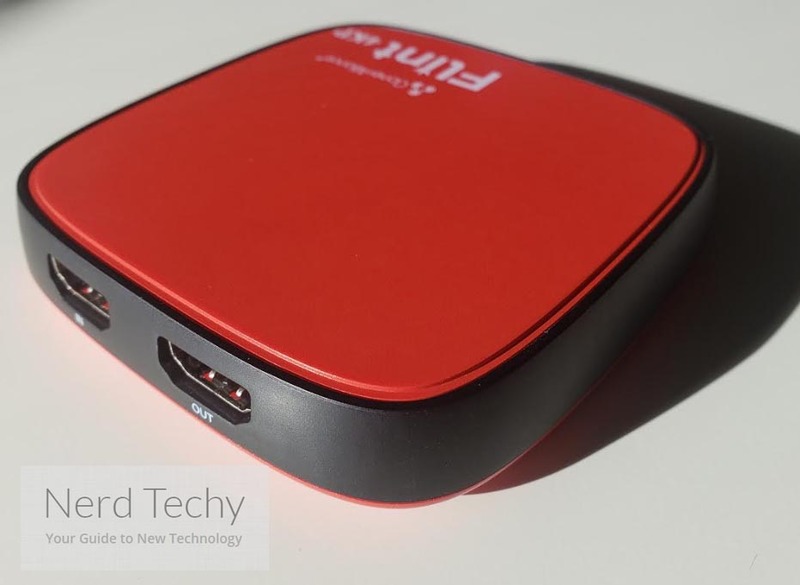 It’s largely the result of the USB 3.0 design, which allows you to connect anything from DSLR camera to a gaming console. 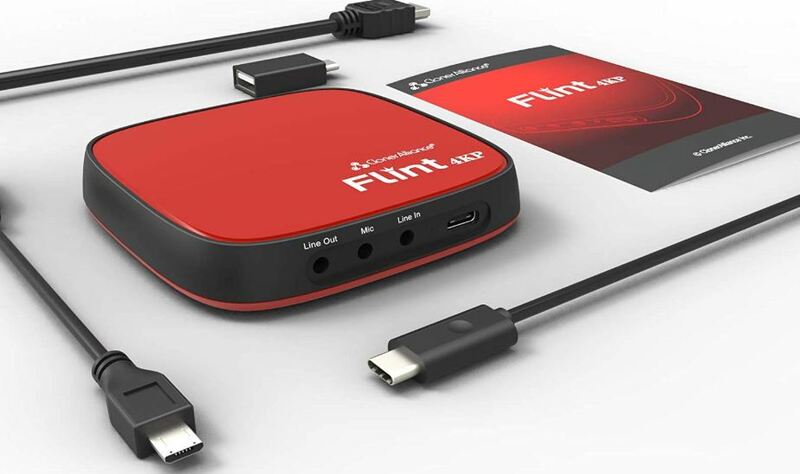 Moreover, USB 3.0 is ideal for handling the kind of bandwidth you see for 4K connections. Of course, there are still places where you can make a mistake. If you’re being careless, it’s easy to connect the HDMI-in cable in the HDMI-out port, or do the same with your audio ports. Fortunately, it only takes a couple of minutes to get this sorted. And even if you’re doing it in the dark, you can just about guess your way to success. The ClonerAlliance 4KP includes a couple free editing programs. Among them, the ClonerAlliance App, MP4-Cloner, and HDML-Cloner Pro Helper. The app is useful for managing a streaming broadcast or controlling the recording process. It’s basically a digital interface with the 4KP. The MP4-Cloner program is a pretty useful basic editing program. Of course, it doesn’t compare to actually using a specialized editing program. If you were trying to create a Hollywood movie, you’d need software a bit more sophisticated than this. The MP4-Cloner program is more like a warm introduction to editing and recording, for people who aren’t terribly experienced, don’t already have software, or want software that’s a bit easier to use. The third program isn’t nearly as useful as the other two. The HDML-Cloner Pro Helper is full of odd extras, like the ability to create gif sets. There are some editing extras on board that help expand the capacity of the MP4-Cloner app, albeit not by much. It’s a small mystery why these functions weren’t simply roped into the MP4-Cloner app, but having them split isn’t a serious inconvenience. Established streamers tend to have preferences. Anyone who’s familiar with OBS or XSplit will probably want to continue to use the programs they know. Especially after taking the time to create custom overlays or transitions which won’t necessarily work on another program. 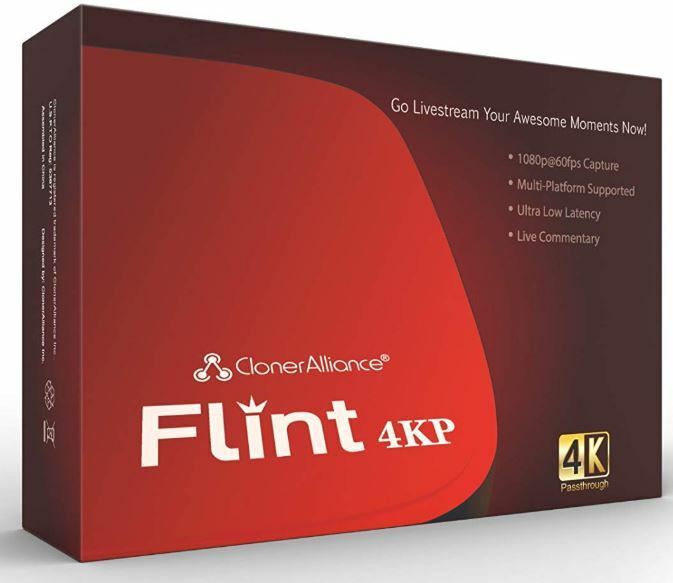 The ClonerAlliance Flint 4KP provides native support for a wide variety of streaming software, including some of the most popular options used today. For instance, it supports QuickTime, VLC, Wirecast, OBS, XSplit, Adobe Premiere Pro, and so forth. Which means people who have favorites will be able to keep them. It also means people who eventually grow out of the included software have options as well. To a small degree, the Flint 4KP is misleadingly named. Because the name of the product emphasizes 4K content, while it’s really only capable of 4K pass-through. That means it can send the 4K signal to your television, but it won’t capture in 4K. That should be perfectly fine, since very few people actually want to do 4K screen captures. For most people in most circumstances, they’re just not practical at this point in time. Unfortunately, ClonerAlliance doesn’t have an amazing reputation for customer service. Fortunately, you don’t really have to keep your fingers crossed that you won’t encounter an issue. the relative simplicity of this setup ensures it’s unlikely you’re going to encounter problems. Who Should Choose the ClonerAlliance Flint 4KP? The ClonerAlliance Flint 4KP is really defined by its 4K pass-through. If you don’t care about being able to move a 4K signal, then you would be served better by a slightly less expensive video capture device. Flint has a little brother, the Chert 4KC, which is essentially the same device with marginally less attention paid to 4K. When it comes to capturing content, you’ll find the 4KP provides more than enough options for all types of creators. You can even capture at 60fps, though doing so will burn through storage space at an incredible pace. Moving from 30fps to 60fps will basically double the size of your files because you’re basically doubling the amount of data displayed. Though this device has a pretty clear slant towards console gamers, it’s really suitable for anyone who wants to capture their game footage without inducing lag on their gameplay. With its pocket-sized design, it’s possible to share your content anywhere you happen to travel. 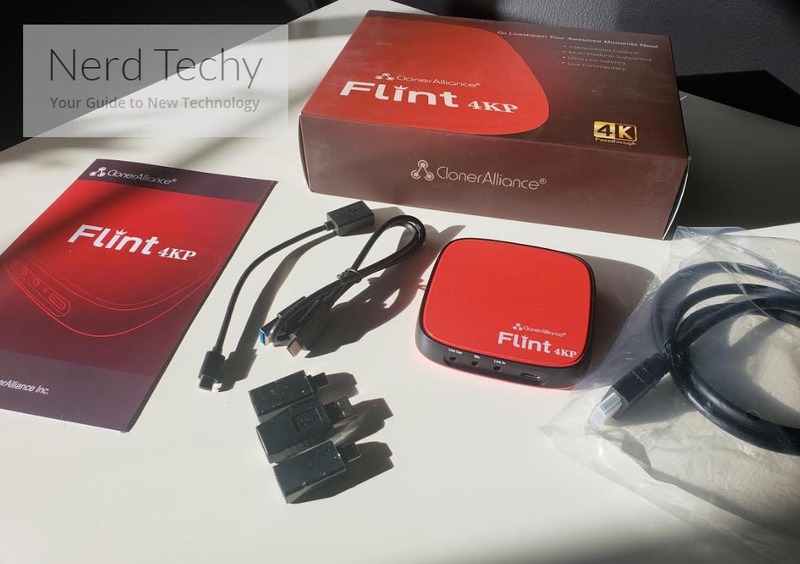 That makes the Flint 4KP a good choice for content creators who play game consoles or insist on having access to higher frame rate recordings. It’s also great for people who don’t already have streaming software, or are looking for something a little simpler than the options used by professional streamers.